Welcome to the University of Iowa's Victorian Wiki! This page was created by Aly Brown, Benny Ramos, Danny Snicker, and Jon Buchholz with the intention of aiding in scholarly research. To accomplish this, we have listed a plot synopsis as well as our understanding of the novella's motifs and overlying themes. In addition, near the bottom of our page, we have included various scholarly articles and cultural adaptations of Henry James' most beloved novella. Lastly, unless otherwise noted, all citations in MLA format come directly from the 1986 reprint from Penguin Classics. James, Henry. The Turn of the Screw and The Aspern Papers. Penguin, 1986. Print. Henry James' “The Aspern Papers” was inspired by a true story he overhead while in Italy. Captain Edward Augustus Silsbee was a retired mariner and devotee of the poet Percy Shelley. Shelley was close with Lord Byron, and wrote several of his greatest works while in Byron's company. The Shelleys were introduced to Byron through his mistress, Claire Clairmont, the stepsister of Mary Shelley. Clairmont long outlived Percy Shelley, becoming more reclusive by the year and shutting herself in with her middle-aged niece Pauline. Silsbee believed that Clairmont possessed rare documents that would shed light on Shelley and Byron's relationship. Silsbee traveled to her home in Florence, Italy, renting rooms with hopes “that the old lady in view of her age and failing condition would die while he was there, so that he might then put his hand upon the documents” (Berendt). Clairmont died during Silsbee's stay, and after her death he revealed his desire for the documents to Pauline. As in James' tale, the niece offered her hand in marriage in exchange for the documents. Silsbee fled, never to return. The narrator in the novella was not a retired captain, but a “publishing scoundrel”. James found inspiration for this character within himself while struggling with the ethics of his intrusive biography of writer Nathaniel Hawthorne. Gary Scharhorts delves into this subject with detail in “James, 'The Aspern Papers,' and the Ethics of Literary Biography”. The novella begins with our narrator travelling to Venice in the hopes of finding various unpublished letters of the famed poet Jeffrey Aspern, which he believes to be possessed by Juliana Bordereau. The narrator keeps his plans to find the letters a secret from Juliana, instead telling her that he wants to live in one of her apartments, and plans to get closer to the letters by becoming romantically involved with Miss Tina, Juliana’s niece. The narrator eventually trusts Miss Tina by telling her the reason he’s come there, and realizing that his affection towards her is entirely dependent on his goal to find the letters, she agrees to help him obtain them. Juliana later becomes sick, and the narrator takes the opportunity to try and steal them from her room, but she’s woken up while he attempts to do so. She calls him out on his intentions before collapsing from her illness, and the narrator decides to run. He returns some time later and discovers that Juliana has died. Miss Tina tells him that he can have the letters if he agrees to marry her. He refuses the concept of marrying her, but eventually changes his mind. Instead, when he finds Miss Tina she tells him that she personally burnt all of Jeffrey Aspern’s letters, one by one. The novella ends with us never being shown the papers the narrator so desperately sought, and we’re left unsure whether the letters were truly destroyed by her. To a large extent, the novella is about the narrator’s strange obsession with Jeffrey Aspern. The narrator’s language when describing the story is highly indicative of his idolization of Aspern and his fascination with finding anything that has to do with him. It’s the narrator’s only motivation, and it’s what propels the events of the story forward. The Aspern Papers has a double-climax, something not very common in most stories. When the narrator is discovered by Juliana before he attempts to go through her desk, we as readers get the feeling that the story may be coming to an end soon, however, we then reach a second climax of the story when Miss Tina reveals that she’s burned the letters. This story, like many other works by Henry James, is largely focused on its characters, and their development and motivations are what moves the narrative forward for most of the novella. The narrator is continuously characterized, as everything we’re reading is from his viewpoint, and the bulk of the story focuses on his views of and interactions with Juliana Bordereau and Miss Tina. As events in the story progress, we see pivotal changes in the way that characters are described and how the narrator is characterized based on his descriptions of them. For almost all of the novella, the narrator describes the letters as something great and almost intangible, yet when he’s learned that they’ve been burnt, he changes his mind-state and even refers to them as “scraps”. Similarly, when the narrator sees Miss Tina as the means to attaining the letters for himself, he views her as being attractive, but when she burns them and no longer serves that role, she again becomes plain and relatively unattractive. Despite staying in the head of the narrator throughout the story, it’s arguable that he’s something of a villain, as all of his intentions seem to be dishonest (the bad nature of his actions being epitomized when he attempts to steal the letters). Miss Tina is more of a hero of the story, having realized that her attempt to coerce marriage from him was wrong, and more importantly having burned the letters that were at the root of such an unhealthy fascination. 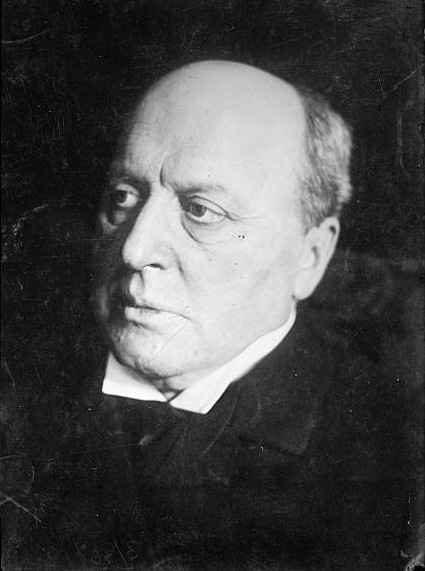 Henry James was infamously guarded in his private life, supposedly even having destroyed several letters sent to him by those close to him and asking them to do the same in the ones he sent to them. The narrator is portrayed as a dishonest and almost pathetic character, and his sole ambition in the novella is to pry into the private life of Jeffrey Aspern. Miss Tina is strongly suggested as having done the right thing by denying the narrator the letters he’d sought, and Juliana calling him a “publishing scoundrel” is strongly indicative of how the story views the narrator’s attempt at invading Aspern’s privacy. Throughout many of James’ works, one can often identify the theme of a new, younger, abrasive ideology or individual (often one in the same) juxtaposed with an older, experienced teacher. This novel perpetuates this theme with the advent of an overbearing literary historian attempting to ascertain information from his most beloved, masterful poet. Unbeknownst to the narrator, 19th century Venice proves to be a rather un-eco-friendly environment. The façade of a gardener was hastily chosen by our untrustworthy protagonist as a mode of entry into the lives of the two women. As he eventually discovers, not only will the garden prove to be a money sink, but it will also fail in charming his adversary Miss Bordereau. Normally, a garden may symbolize growth or purity---a place where, if cultivated properly, life and hope may flourish. However, James shows us that for our narrator, this garden proves to be the opposite. To cultivate something in an environment where it cannot grow is unnatural and, even though the garden thrives, our narrator’s purpose does not, in effect proving the insincerity of the speaker’s intentions. Considering the novella is centered on the lost papers of Jeffrey Aspern, it is worth entertaining them as a motif in themselves. They are constantly on the mind of our narrator and, though we do not gain access into the mind of Miss Bordereau, they may very well be in hers too. The papers can be representative of almost any tangible leftovers from an artist. It is peculiar, however, that the portrait of Jeffrey Aspern, which the narrator eventually purchases from his landlord, proves to pale in comparison to Aspern’s letters. One would think that if this historian were interested in the relics of Aspern, then any would suffice. The letters remain distinct from the portrait till the bitter end, even being shadowed completely by the loss of the papers. “The Lost Moment” is a black-and-white drama film set in Venice. It is a sweeping, romantic drama that focuses on the relationship between the American publisher (who is given a name, Lewis Venable) and Tina Bordereau. The film takes liberty with James' story, transforming it into a provocative, psychological thriller. Tina becomes a madwoman who falls into hallucinations wherein she believes that she is Juliana and Lewis is the poet Jeffrey Aspern. She is also shown as a heartless lunatic, violently beating her maid Amelia off screen for keeping a cat in the house. The film also diverges with Juliana's final climatic scene where she admits that she murdered Jeffrey in a desperate act of passion: “I killed him. I killed him. He was going to leave me, and I killed him.” Tina faints, scattering the letters across the floor. Lewis carries her outside, and Juliana attempts to seize the letters. She knocks a candle to the floor in the process and sets the room ablaze. The fire engulfs the palazzo, Juliana and the letters perishing within. Unlike the novella, the publisher was able to read the letters before they burned. “The Lost Moment” is also aware of the anecdote which inspired James' novella. At the start of the movie, the camera pans over a portrait of Percy Shelley, the real-life Jeffrey Aspern. There is not much information available online for this film, but it is worth noting for its complete change in scenery. “Aspern” is filmed in a sunny Portugal village with French dialogue. “The Aspern Papers” is currently screening at film festivals worldwide, awaiting DVD release. Hellmund has transplanted James' story from decaying Venice to modern-day Choroni, Venezuela, a colorful place alive with Caribbean culture. Many adaptations use James' revised name “Tina” for the character of the niece, but this film gives her the original “Tita”. “Aspern Papers” is often seen as an awkward adaptation because it takes James' nuanced writing which focuses on the details of dialogue, and transplants it onto the grandeur of the opera stage. The setting is moved from Venice to Lake Como, where Jeffrey Aspern drowns like the real Percy Shelley. The Lodger in “Aspern Papers” is after a long-lost opera “Medea”, which embodied the love between Aspern and Juliana. Juliana is once again portrayed as a jealous lover who aided in Aspern's drowning. Argento gives temporality to the performance by creating flashback scenes to Juliana's youth. Henry James was born April 15, 1843, in New York City, NY, to Henry James Sr. and Mary Robertson Walsh James. He was one of five children, notably including William James and Alice James. James spent large amounts of his first twenty years in both the US and England, where he would gain nationality, in 1915, and ultimately die on February 28, 1916. Born into wealth, James had the luxury of being educated in the finest schools in America, as well as all over the rest of Europe. That is, until he settled at Harvard Law. That is, until he quit after one year to pursue a career in literature. James’ first short story, “A Tragedy of Error”, was written when he was 21. His first novel, Watch and Ward, was published when he was 28. From there he would go on to write a body of work amassing a bounty of fiction novels, non-fiction, short stories, and five plays. These famously include Daisy Miller, The Portrait of a Lady, The Bostonians, The Wings of the Dove, The Ambassadors, The Turn of the Screw, and, of course, The Aspern Papers. We view the world of Henry James’ 19th century Venetian society through the eyes of an unnamed, American editor. Like any good critic, our narrator has a rather precocious talent for meddling in other people’s affairs. Under the guise of a gardener, he invades the dilapidated property of Mrs. Bordereau, an old lover of Jeffrey Aspern, in a greedy attempt to ascertain any living relics of his most coveted poet. Often throughout the novella, our narrator refers to Aspern’s memorabilia as “spoils” in what he declares early on to be a “game”. Self-entitled and monomaniacal as he is, our narrator fails to realize that his façade is discovered fairly early on, as the women prove to always be one step ahead of his rouse. Eventually, he degrades to the point of stealing and, after getting caught by Mrs. Bordereau, he acknowledges the letters to be merely “crumpled scraps”. Our antagonist in the novella, Mrs. Bordereau, proves to be a suitable counterpart to the narrator. Her “horrible green shade which, for her, served almost as a mask” similarly mirrors the narrator’s ‘mask’ of a gardener (James, 60). Though she seems at first to be incompetent, the reader will quickly realize that it is she who controls the every whim of the narrator and, by extension, the plot. She befuddles his early attempts to ascertain the whereabouts of Aspern’s letters by denying him conversation; however, she eventually gives him rites only to wave a portrait in his face and inquire for more money. At the same time the narrators mask falls and he rummages through her belongings, so too are Mrs. Bordereau’s eyes finally revealed and her piercing gaze sends the narrator to walk the countryside in shame. Though it is unclear why she maintains such a stern grasp on Aspern’s letters, the reader may speculate that she was but one of many lovers the poet charmed. The niece of the antagonist, and ultimately the final barrier the narrator must overcome in order to gain access to Aspern’s relics, Miss Tina proves to be a simple, albeit pivotal, character in the novella. Her plain demeanor and dialogue makes her easy prey for the narrator. He first sees her as not an obstacle, but a tool to be used in order to gain credence with Juliana. In fact, the narrator eventually becomes so comfortable with Miss Tina that he divulges his entire scheme to her in confidence. Eventually, after the death of Juliana, Miss Tina attempts to coerce the narrator into marriage via a cryptic and poignant speech. However, though the narrator facetiously purports to “make love to the niece” in the opening chapter, he later flees from her hand in marriage in yet another moment of cowardice, resulting in the burning of Aspern’s papers. Mrs. Prest serves as a flat character, whose only function is to encourage the pursuits of the narrator. She is only seen in two chapters and is never mentioned outside of them. Her plot-function is simply that of instigation, as she provides the narrator with the idea of subterfuge. "Revising Henry James: Reading the spaces of The Aspern Papers"
Discusses the task that James adopted, in the last years of his life, to revise the works he felt would define him as a writer. This essay presents and comments on several drafts of The Aspern Papers, as well as different versions of the final draft. "The Aspern Papers: Great-Aunt Wyckoff and Juliana Bordereau"
Exploration of James inspiration for The Aspern Papers being directly related to his borderline obsession with “Jane Clairmont, half-sister of Mary Godwin Shelley and mother of Byron's Allegra, [who] had lived to a ripe old age in Florence”. "'The Aspern Papers’: What Price, Defeat"
Explores the “bargaining scenes” (the apartment, the miniature painting, and, ultimately, the papers), and the idea that these are pivotal points, in the novel, as they are the ones most densely packed with drama. "Disappearing Authors and Resentful Readers in Late-Nineteenth Century American Fiction: The Case of Henry James"
Using James as her target, Hochman delves into the relationship of the reader and writer at the turn of the century, and the growing distance between the two. "The Literal and Literary Circulation of Amelia Curran's Portrait of Percy Shelley"
Looks into the life of Henry James in order to back up the claim that too much of The Aspern Papers is credited to James’ creativity, and that much more should be attributed to James’ real life obsession and interest with other authors. "What Aspern Paper? A Hypothesis"
Presents and explains the thought that Aspern’s papers never existed, and looks at the day long hesitation of the narrator on his last visit. "The ‘Bordereau’ of ‘The Aspern Papers’"
Delves into the use of bordereau in The Aspern Papers, and the allusion it makes to Alfred Dreyfus’ forged list of documents. D1. Henry James never specifically shows the papers in question. The narrator sees some documents, and hears that they are the papers in question. Do the Aspern Papers exist? If they do not, what is Henry James saying about faith or trust? D2. Miss Tina's struggle to safeguard the papers for Miss Bordereau is a precarious situation. What does her decision to relinquish the papers to the narrator in exchange for his hand in marriage say about social mobility within the context of this time period? D3. James ends the book with the narrator saying, of the picture, “When I look at it I can scarcely bear my loss – I mean of the precious papers” (James, 142). The narrator specifies that the loss is of the papers. Can the narrator’s word be trusted? If not, what else could he be referring to? Support your claim. D4. Are we meant to feel much sympathy towards the narrator at any point? We're often given descriptions on how terrible Juliana seems, but are these descriptions legitimate, or just the narrator's views being warped by his desire for the letters?